Obituary – Inselman, Robert Eugene « Perry High School Alumni Association, Inc.
Robert (Bob) Inselman, 67, of Willis, formerly of the local area, died Sunday, Sept. 15, 2002, at Willis. Funeral services will be at 10 a.m. Wednesday in the chapel of Brown-Dugger Funeral Home with Pastor Richard Borisenko officiating. Interment will be in Grace Hill Cemetery at Perry. He was born March 24, 1935, at Lucien, to William and Alice (Brown) Inselman. He was a 1953 graduate of Perry High School. On Sept. 29, 1954, he and the former Clydean McBride were married at the home of her parents in rural Perry. Before retiring, he owned and operated Inselman Drilling Fluids. His favorite pastime was fishing. Inselman’s parents preceded him in death. 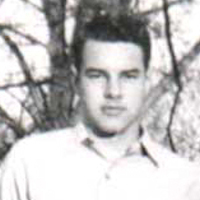 In addition to his wife, Clydean, of the home, survivors include two daughters, Sheila Inselman, of the home, and Sally Clowser and her husband, Jimmie, Oklahoma City; two sons, Jerry Inselman and his wife, Gwenda, Fort Worth, Texas, and Terry Inselman and his wife, Karen, Ardmore; 10 grandchildren; three great-grandchildren; his father-in-law, Claude Dowell, Perry; one brother, Billy Inselman and his wife, Lillie, Wilson; one sister, Connie Clements and her husband, Allen, Ardmore; a sister-in-law, Cheryle Leach and her husband, Calvin, Mulhall; and two brothers-in-law, Ben McBride, Crane, Mo., and Tom Dowell, and his wife, Betty, Dallas, Texas .